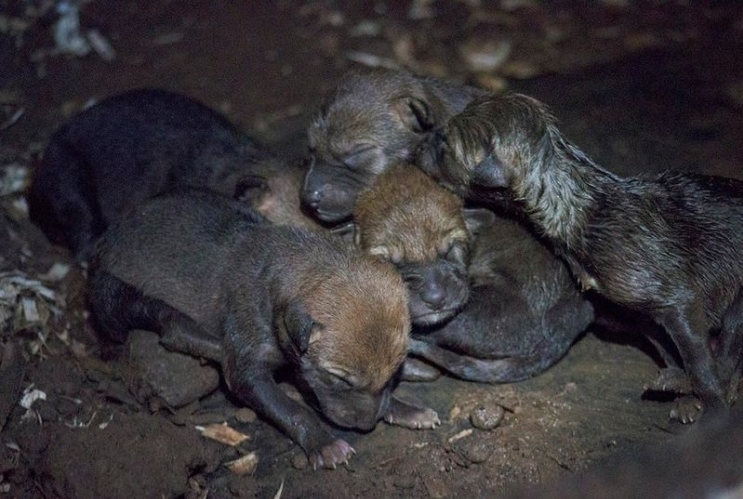 On Friday, red wolf female gave birth to a litter of six pups, the first critically endangered red wolves born at the facility since 2002, the museum reports in a press release. 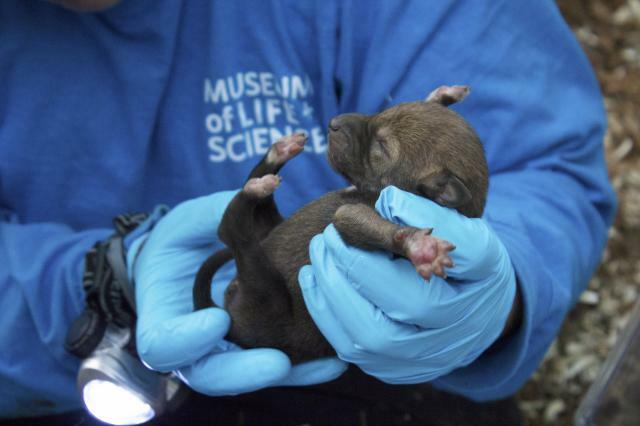 At the Museum of Life and Science, this is only the third time in 24 years that the museum has had a litter of red wolf pups. The first was in 1993 and the second in 2002. 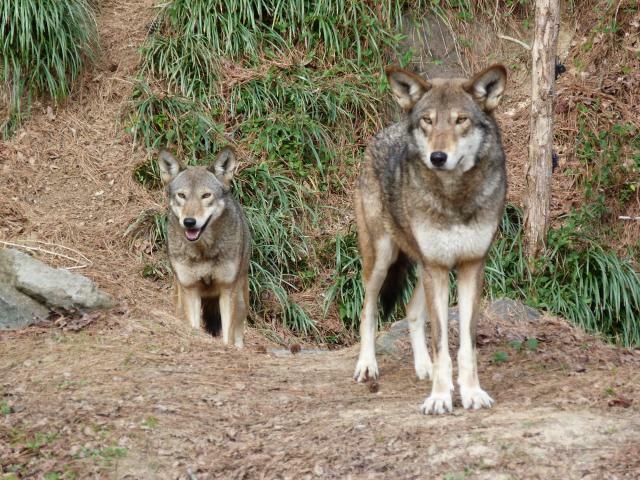 According to a blog post, in 2011 a female wolf began digging a den, and the museum believed puppies were on the way. But that turned out to be a false alarm. Last summer, the SSP decided that female #1858, born at the Riding Reflection Arboretum and Nature Center in Chattanooga, Tennessee, was a better match for male #1784 who came to the museum from the Miller Park Zoo in Bloomington, Illinois in 2014, and transferred her in November. It was a love match from the beginning and caretakers witnessed the wolves mating earlier this spring. Initial examination showed that the six newborn puppies were all healthy, though they will be closely monitored for their first 30 days. The new family will remain on view to the public, but the pups won’t begin to spend much time outside the den until the age of six weeks. 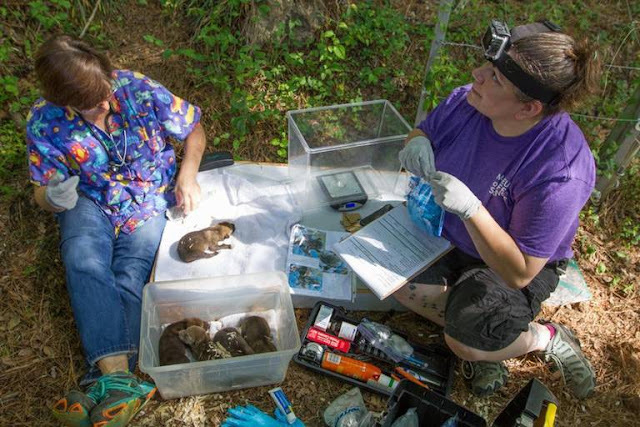 “This is truly exciting news for the species and the museum,” Sherry Samuels, the museum’s animal department director, says in the press release. The red wolf faces an existential threat far beyond the fact that its numbers have dwindled to around 300 individuals. 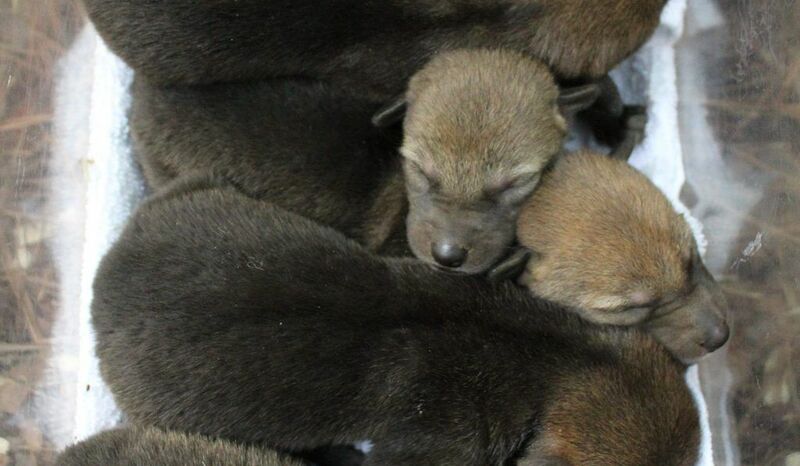 Responses to "Rare Endangered American Red Wolf Pups Born On Friday Bear Hope"
May they walk in beauty and safety.